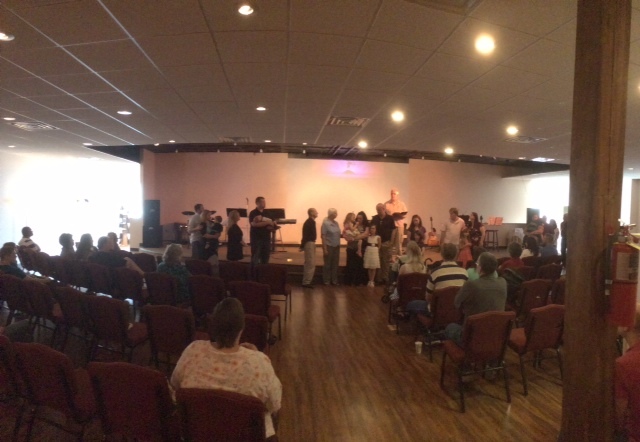 New Life continues to see a move of God at their new location, 815 OHIO street, with 9 child dedications to the Lord on Mother’s Day. Our love, prayers and congratulations go out to the parents and families of these precious children. May God grant them the spirit of Psalm 127 that “Except the LORD build the house they labor in vain that build it! !” Charges were given to the parents to raise their children in the care of the Lord and have them in church, and also to the church to pledge to always have ministries that support these parents in this quest. New Life continues the study on “New World Parenting” this week with a message on “Dare to Discipline” the lost art of achievement!. Hope to see everyone there!!! Have a great week!! !